The persuasive user requests of Project Planning Pro over the years has finally convinced i2e Consulting LLC to bring its popular Project Management tool onto Mac. With the launch of Project Planning Pro (PPP) on Mac, the Macintosh users too would be able to manage their projects with as much ease as the PPP iPhone and iPad users. 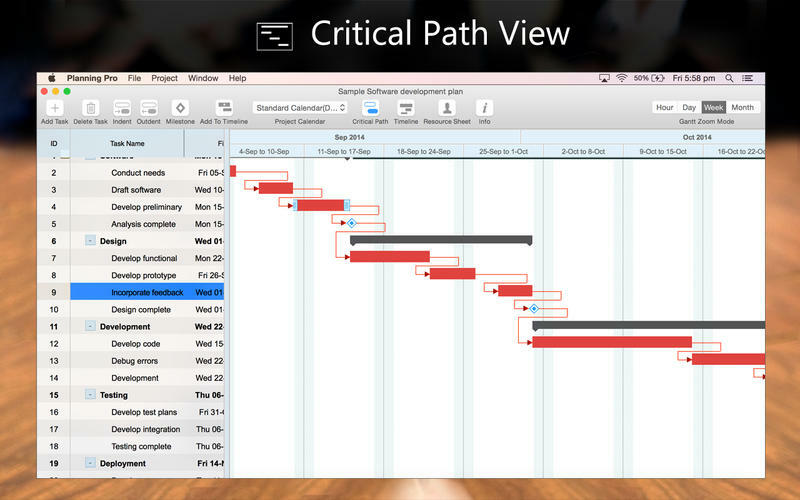 With PPP, now available for Mac, Project Managers can now enjoy long term planning and successful execution of Projects. Two time winner of Best App Ever Awards, Appster Award and Tabby Award, Project Planning Pro enjoys a 4.5 Star rating on the App Store. Users can utilize the tool to plan and execute a broad spectrum of Projects ranging from Manufacturing processes to business operations and marketing campaigns to HR initiatives. The tool is great for not just individual usage but also collaboration as the users can import and export their Projects via mail. 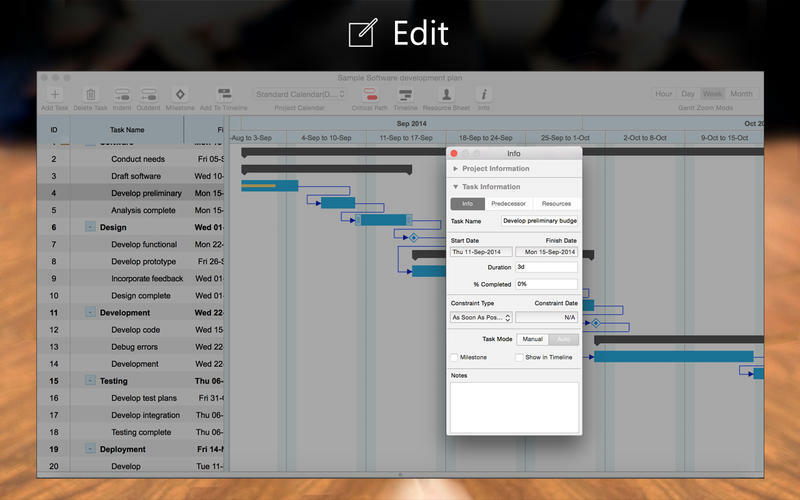 Get started, by creating a Work Breakdown Structure of your project, enter tasks, their duration, dependencies and assign resources with Project Planning Pro to manage your projects with ease. 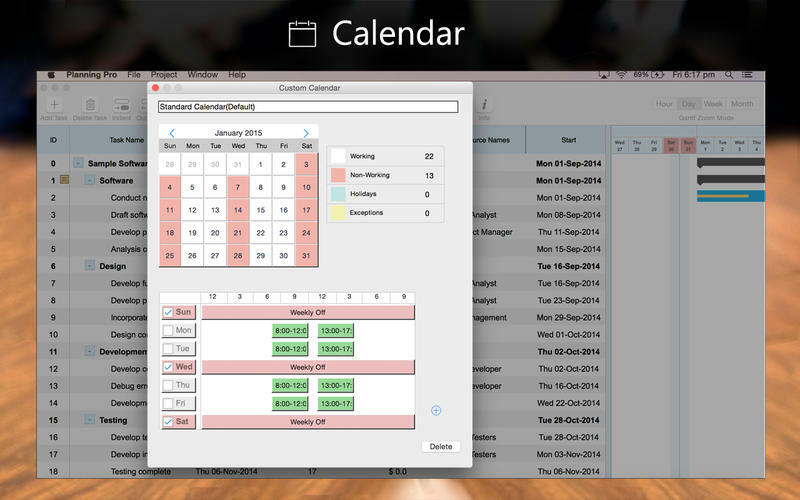 The app offers multiple views, namely Gantt view, Resource view for seamless project management. Just like its iPad version, the Mac Version of Project Planning Pro promises stability, enhanced performance and an intuitive User Interface unlike any other Project management app on Mac. As work updates can be sent from within the app, all the members of Project can remain in sync about the work progress and the tasks at hand. Project Planning Pro is our most popular Project Management app on the Store and we have received hundreds of requests for the development of Mac version from our user base for the last 2 years. Persuasive user requests and market study encouraged us to take the necessary step forward and launch PPP on the Mac Store. We have enjoyed unimaginable success on iOS and Android with PPP and desire to surpass it with the Mac version. Waterford, Connecticut - i2e Consulting is a technology company having offices in Waterford, Connecticut (United States) and Mumbai (India). It is dedicated towards the development of mobile apps, web solutions and other associated products for the Project management domain. The company has created more than 30 large and small business solutions for clients all over the world while offering consulting services in the Project management domain. The company aims to achieve 100% customer satisfaction with the help of its superior software systems. All Material and Software (C) Copyright 2015 i2e Consulting. All Rights Reserved. Apple, the Apple logo, Maintosh and Mac OS X are registered trademarks of Apple Inc. in the U.S. and/or other countries. Other trademarks and registered trademarks may be the property of their respective owners. Failing to plan is the same thing as planning to fail!